Solvent resistant reusable Luer-Lok syringe barrels with plastic dispensing needles. Great for dispensing epoxy or other adhesives, especially into tight spaces or when you want to better control the quantity applied. 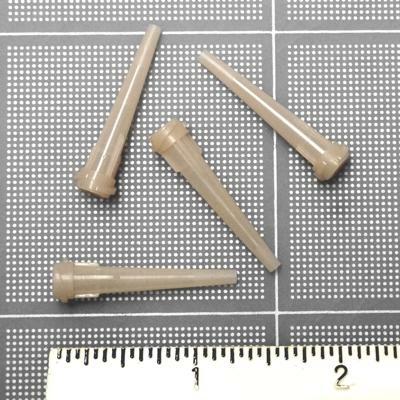 These are the same as the ones we include with most of our 1.9" 29mm kits for helping to make internal epoxy fillets. After use push out as much excess epoxy from the syringe as possible to keep it usable between different batches of epoxy (even though the syringes are marked "Single Use Only", for adhesive application you should be able to get multiples uses from each syringe, although they will not last indefinitely). 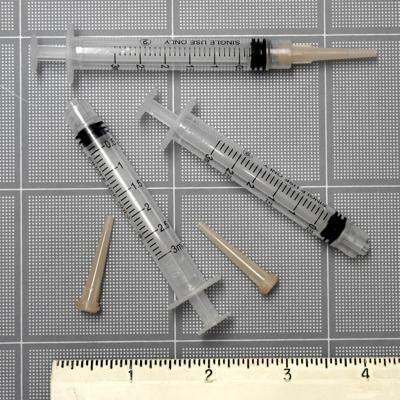 Replace the needles as needed (we ship one needle with each syringe, but you may want to order extra dispensing needles). Base price is for one syringe and one dispensing needle, choose your quantity discount for greater savings!